Operations: noun – Plans, methods or series of maneuvers or stratagems for obtaining a specified goal or designed to facilitate the realization of a specified vision. The Operational Leader develops and executes detailed, effective, and comprehensive plans for success. It is fair to say that vision and operational execution should – and must – go hand in hand for a team to have real success. The Operational Leader creates and implements the practical plans to ensure success for the Vision Leader. Although vision and operational execution are partners, they can be very different in the way of specific skills. Where vision deals with very big picture goals, ideas, possibilities, and destinations, operational execution deals with the development of the more detailed plans for getting there from an execution standpoint. Try to think of the concept of creating a vision as “we are going to Disneyland for vacation.” Yet the operational execution piece becomes the maps, preferred route, highways, timetables, gas-quota assessments, accommodations, food budgets, rest locations, and more – everything required for a successful journey to Disneyland. In many organizations, vision and strategy are articulated at the highest level and the supporting strategic-planning process can be delegated to unit heads within the organization. It is important to remember that there needs to be total integration and alignment across any team as it relates to vision and operational execution. Once again, communication will play an incredibly important role in the strategy and leadership process. The better the communication, the better the execution will be. Many Operational Leaders point out that they consider the big picture idea-development process to be the easier part of the planning process. While we are not sure that this is entirely true, they do make a strong case for successful and sustained operational execution to be the bigger challenge. Many professionals consider the major challenges to success to be the design, development, and execution phases of the strategy process that is required to make great visions a reality. Unfortunately, many leaders have proven to be great at idea generation and creating the vision, yet less than great when it comes to operational execution. Further, many team members have pointed out that some plans seem to be too high level, not fully integrated across the organization, or worse, continuously changing from management team to management team. This lack of depth, inconsistency, and/or lack of execution are key reasons a leader will be challenged as they attempt to create a following within their organization. It is important for a leader to avoid a reputation for “flavor-of-the-month strategizing” that focuses only on making the same old situation look or sound better. Team members crave leaders who demonstrate strategic substance, sustainability, and the ability to actually make things happen beyond merely talking about strategy. Unfortunately, a common trend is for new leaders to seek to put their own "personal stamp” on an initiative by totally changing strategic direction. This is one of the more frustrating practices reported on by team members and can lead to confusion, complacency, and lack of day-to-day performance. Three critical tools for the Operational Leader include tactical plans, progress tracking, and process modification. The best-of-the-best leaders become scorekeepers and trackers of success stories as they progress through their strategy-implementation processes. The most successful strategists regularly seek opportunities to keep all team members engaged, and bought into the process, no matter how long the process may take. Great Operational Leaders develop plans that include personal assignments, timetables for completion, and expected results. They regularly revisit, review, and revise these plans to ensure progress toward successful execution and goal achievement. They keep an open mind about modification and adjustment, and they are dedicated to successful implementation, so modification and refinement is considered to be an integral part of the process. Probably most important, Operational Leaders share the results of their successes with the members of their team, and they are quick to credit others for their successes. It is important for the Operational Leader to make the strategy implementation process a collaborative and rewarding movement toward the future. The most successful realize they would never be able to do it on their own, so it is essential for them to spread the work and share the successes along the way. It is also the responsibility of the Operational Leader to ensure the strategy they are working on remains relevant and top of mind within the organization. This means continuing to revisit all of the areas within the organization affected by the strategy as well as all of the team members affected by the strategy. Ongoing communication around progress status, successes, and challenges is considered to be another essential skill for any high-level leader. The "Man with the Plan"
The old adage that says: “I am following the man with the plan” still rings true today for leaders in any organization or profession. Team members can be charmed by grandiose ideas, but they are also interested in seeing specific plans of action and too often this is where their team leaders fall short. When a leader constructs and delivers a carefully constructed, action and result-oriented plan of attack that is designed to take a team to the next level, they tend to see a great amount of initial buy-in and following. Naturally, the level of buy-in will depend on the quality and the content of the plan. However, even plans that deal with hardships, layoffs, changes, and cutbacks can be received with some level of appreciation. Team members understand that not everything will be perfect and there are always obstacles and tough situations to deal with. A carefully articulated plan takes the mystery out of the process for them and shows them what to focus on going forward. The Operational Leader is expert at developing and communicating effective plans of action and they create buy-in around both the fun strategies and the situational tough message. For the Operational Leader, transparency is crucial as a plan makes people feel better about what is going on around them, and they will follow the person who provides this level of certainty. When Matt Abbott was 6 years old, he watched on television, as Neil Armstrong and Buzz Aldrin became the first men to walk on the moon. At that moment, Abbott's course in life was set. The world’s eyes may have been on Aldrin and Armstrong, but Abbott was equally focused on the men on the edges of their seats in the control room, making the split-second “go/no go” decisions that would shape history. The Flight Director is the hub of Mission Control, supported by a team of experts in the various components of a mission. Each expert monitors a specific element of the flight, and then makes recommendations to the flight director. A flight director on console is the mission’s ultimate authority on the ground, with the final word on any decisions that must be made. During a mission, multiple team members work shifts in the control room, providing 24-hour-a-day coverage. In addition to heading up one of those teams, the Lead Flight Director is also responsible for overall mission planning. Philosophy: True leaders are always thinking about the future. It is important for a leader to anticipate changes and communicate a vision for the future if they are to create a following. Operational planning and execution driven by an implementation focused leader is an essential element in the formula for success. Mistakes to Avoid: Getting carried away and engaging in guessing games. Brainstorming is one thing but guessing can be incredibly dangerous because you are going to be on the record with your predictions. Create buy-in with your team members by engaging them in the visioning process. They are more likely to follow those who engage their input and they are more likely to follow a plan they helped create. Best Practices: Engage your team in the operational planning process and be sure to communicate your vision and plan when the time is right. Let your team see the actions supporting the realization of the vision. When you act and lead by example your team is much more likely to follow along. What plans do I have in place to support the future of our team? To what degree do I have the resources I need to execute and what do I need to do? What is our measurement approach and how often will we monitor progress? What is getting in the way of the plan we need to execute? What successes have we had, and how can I celebrate those successes? What if? What if? What if? What if? What if? What if? What if? What if? How well do my team members understand our direction and our plan for the future? What are our strengths, weaknesses, opportunities, threats etc.? 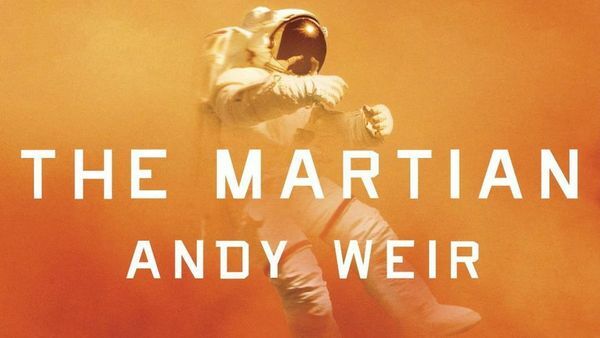 "Do whatever it takes to stay alive on Mars after your return spacecraft leaves without you"
The movie is scheduled for release in October 2015, but this is one I would strongly recommend reading if you have the time. I hope you enjoy it as much as I did. Great job Andy!